Please post your anti-civ flyers here. I've done this one to help spread the forum. Nice! 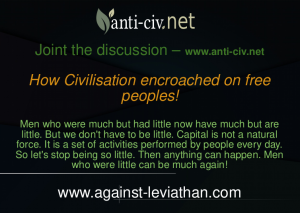 Hope to see some anti-civ flyers in the wild! Another idea: if you're donating books to e.g. a café or library, put "Donated by anti-civ.net" in the first page. And also, bring sharpies to toilets and whatever of squats, bars, restaurants, anything, and just write anti-civ.net (or against-leviathan.com, or both) on them. There's lots of nifty things we could do, that's pretty much no effort or cost. If more people wanna do something with the logo, here it is, in vector graphics: https://anti-civ.net/anticiv-logo.svg. P.s - Someone just pointed me a mistake on the flyer(after a few dozens already out there in the wild), turns out i spelled Joint instead of Join don't know what i was thinking and i wasn't even stoned. If you are going to use my libreoffice file please correct that. Haha, I didn't even notice. I guess we're appealing to the crust punk demographic! 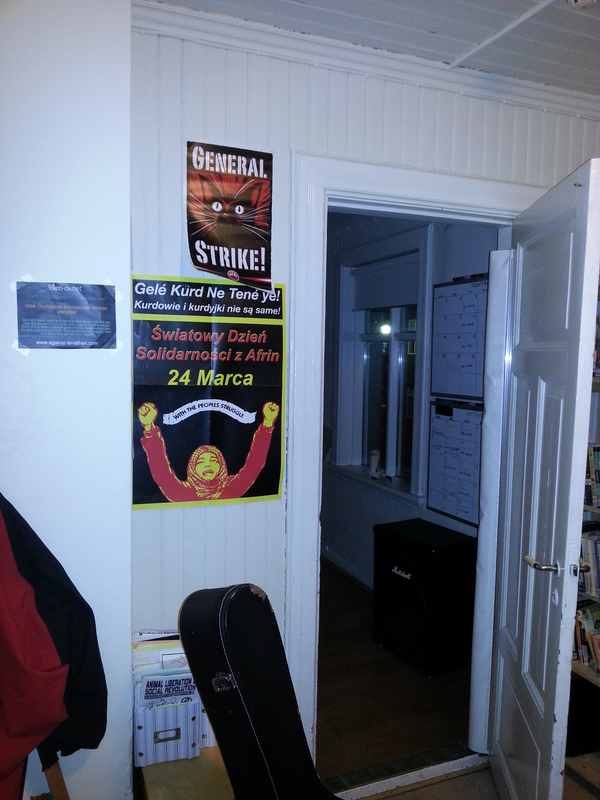 Just updated the picture above.